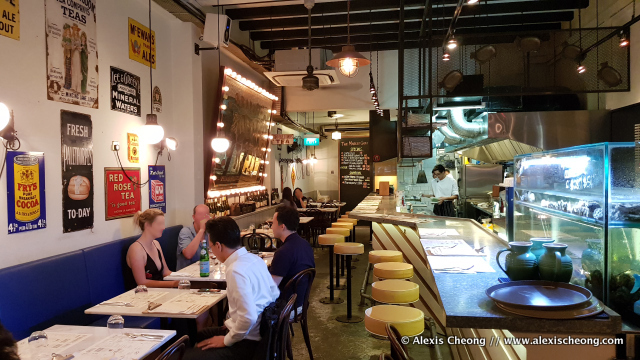 The Market Grill has been around for a while on the busy Telok Ayer Street, but are probably overlooked as time went past because of so much F&B competition around the area. 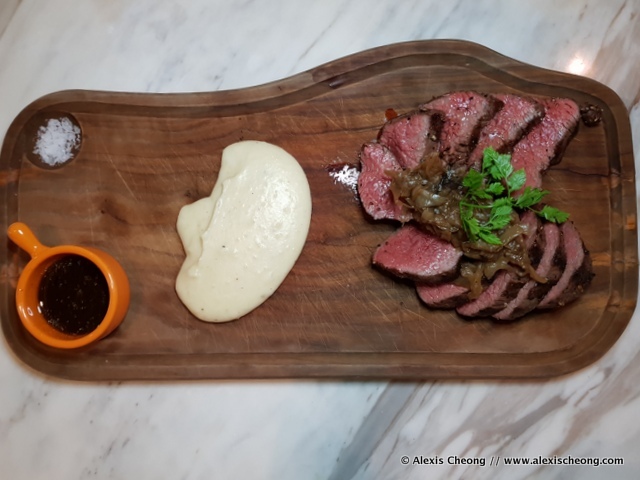 Still, this bistro/restaurant by The Unlisted Collection do have a good repertoire of dishes that deserves mention. 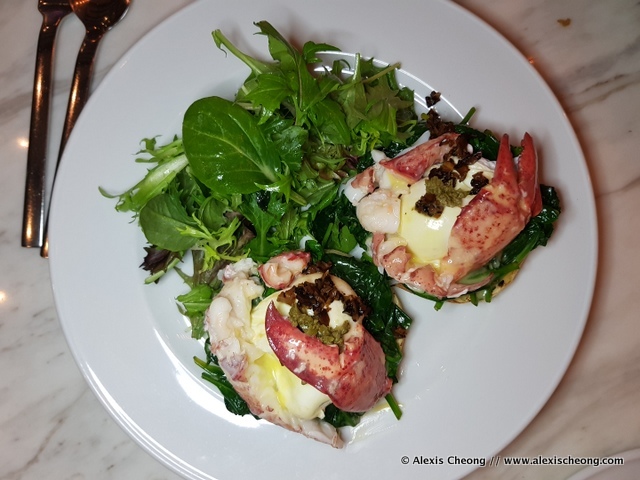 When I spoke with Executive Chef Kenneth Lin, he mentioned that while in the past people come by for the Lobster Roll, nowadays there's also good steak and burgers on the menu. And that's no surprise to me, since those things do very well on the charcoal grill, which is the best way to go and what they use. 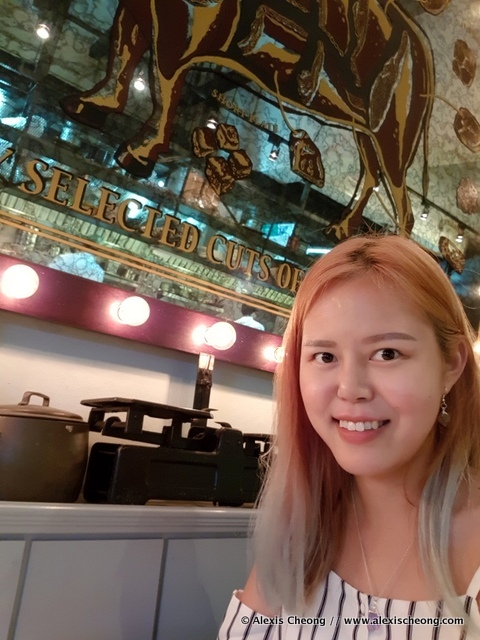 The decor of the place is typical of a shophouse restaurant and is well-ventilated despite the open kitchen, which I liked. 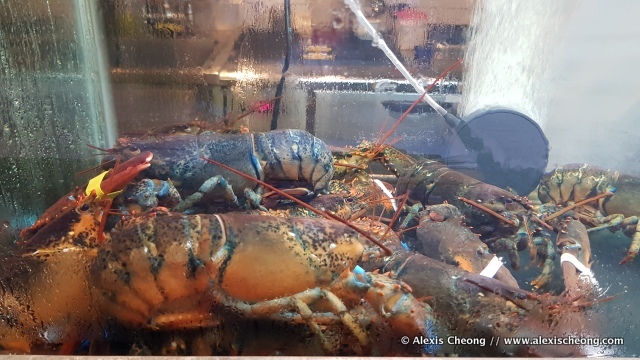 Fresh live lobsters in the tank greet you (along with the friendly waiters) just at the entrance, which is also good. 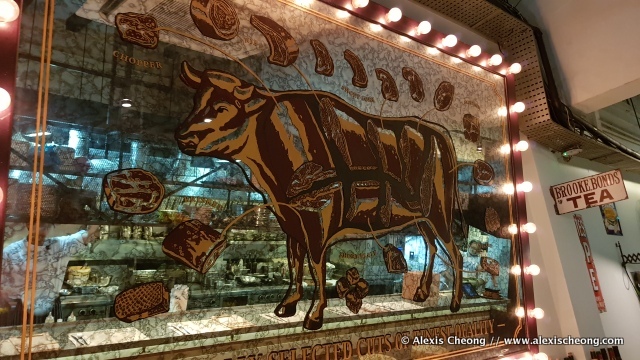 I really like the decor of this mirror with cuts of the cow on it. If I have a kitchen or dining room area of my own, I would love to hang this there. 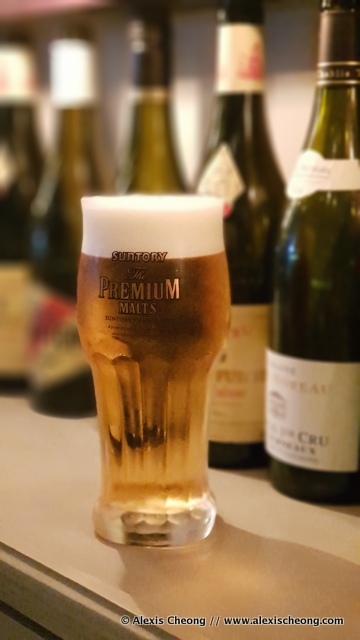 There's Suntory Premium Draft beer, which goes for $10 half pint during happy hour and $13 during dinner, which is not too bad! 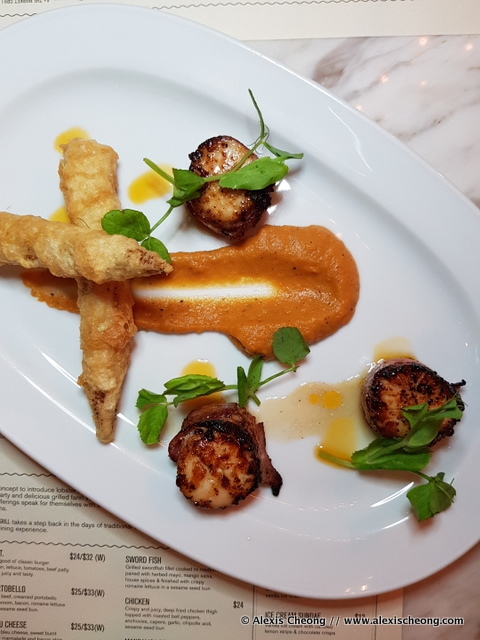 It's really fresh too. 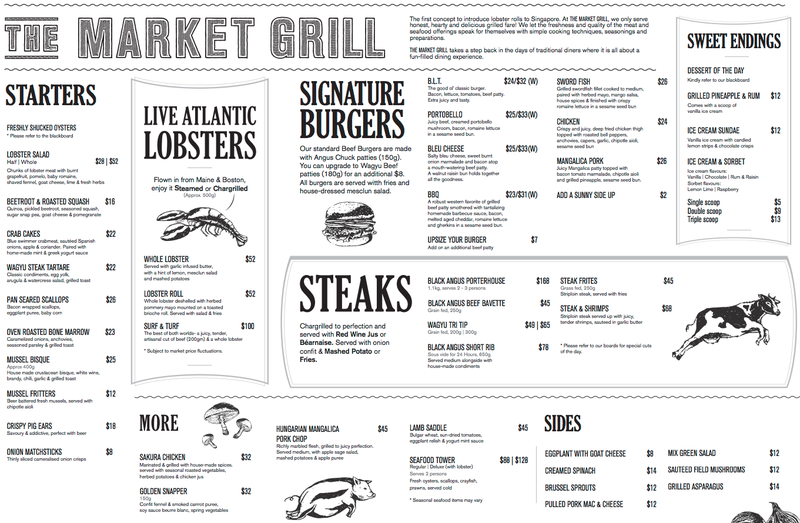 Here's the menu as of April 2018 (from their website), with seasonal items written on the chalkboard in the restaurant. 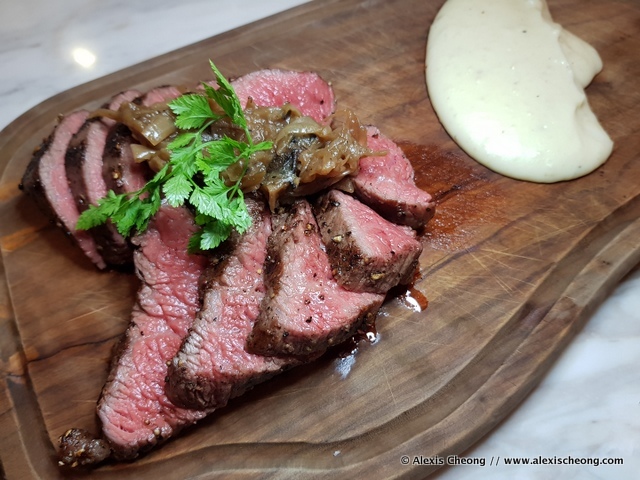 As a casual bistro with elevated prices, I think The Market Grill does some items really well but you will need to know how to order, because not all items are good. 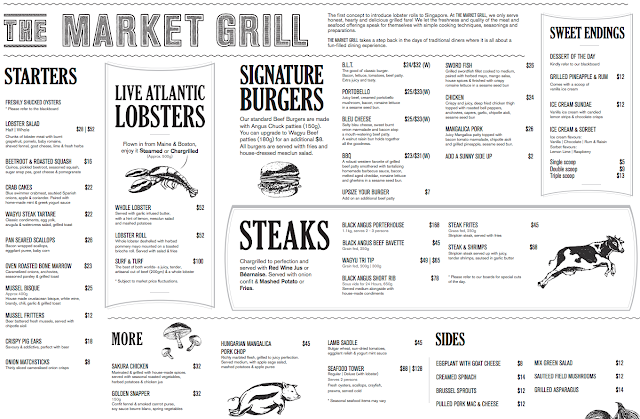 To me, just go for the jugular - the steak, or the lobster roll, and you won't go wrong. Otherwise, I'm thinking their burgers and mac and cheese will probably be decent as well! 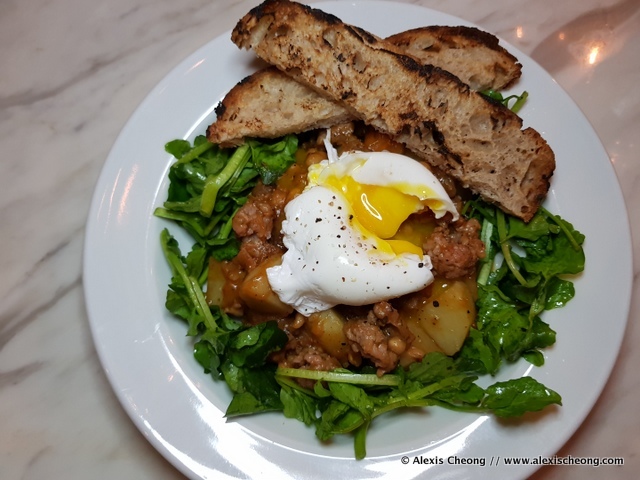 Fresh food and delicious recipe to eat.